Bow Wow Buddies Feature Story: Diesel! 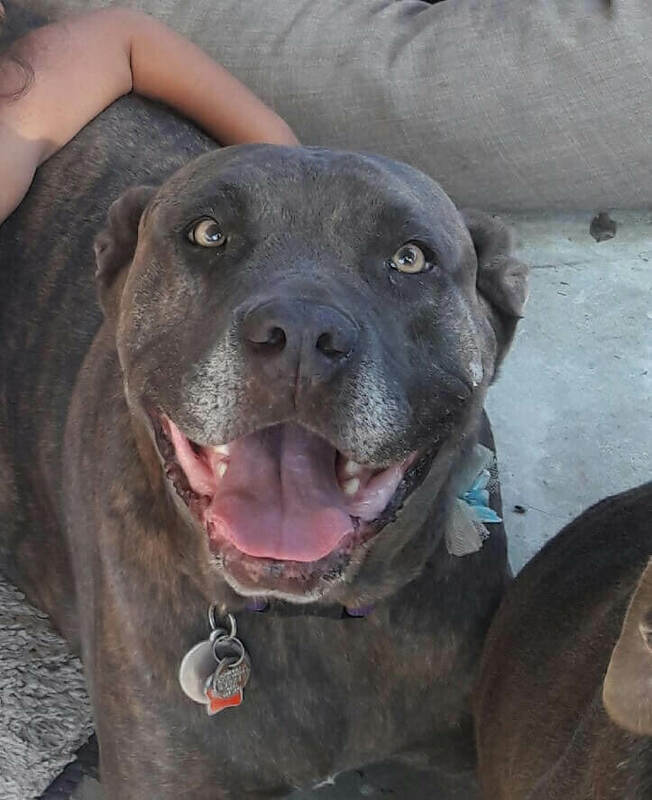 Today, the Bow Wow Buddies Foundation would like to introduce you to Diesel, a 9-year old female pit bull/mastiff mix from Anaheim, CA. Diesel’s pet parents came to the Bow Wow Buddies Foundation in hopes of finding financial guidance through their poor pup’s most difficult time — and they most certainly found what they needed! The nightmare began when Diesel’s mom, Johanna, came home to find her poor baby in distress. A passerby had bound a rubber band tightly around Diesel’s ear, cutting off her circulation. Unfortunately, due to infection and loss of blood flow it was impossible for doctors to save Diesel’s entire ear, and so Johanna was told that a piece of Diesel’s ear would need to be removed. Johanna reached out to Camp Bow Wow Anaheim and Bow Wow Buddies Foundation for assistance, and we answered. With our help, Diesel was able to get the surgical treatment and medical assistance she so desperately needed at Loving Hands Animal Hospital in Anaheim, CA. Now, Diesel’s happier and sweeter than ever. She’s back to romping around with her family and giving friendly kisses and lots of love to everyone she meets! Each year, many pets are denied access to urgent medical care, simply because their parents cannot afford the climbing costs of emergency veterinary treatment out of pocket. The Bow Wow Buddies Foundation is happy to assist dogs and their families in their time of need. With help from donations, we’re able to award grants up to $2,500 for necessary medical treatments for dogs in need across North America. Lend a paw and donate today to help a dog like Diesel get a second chance!